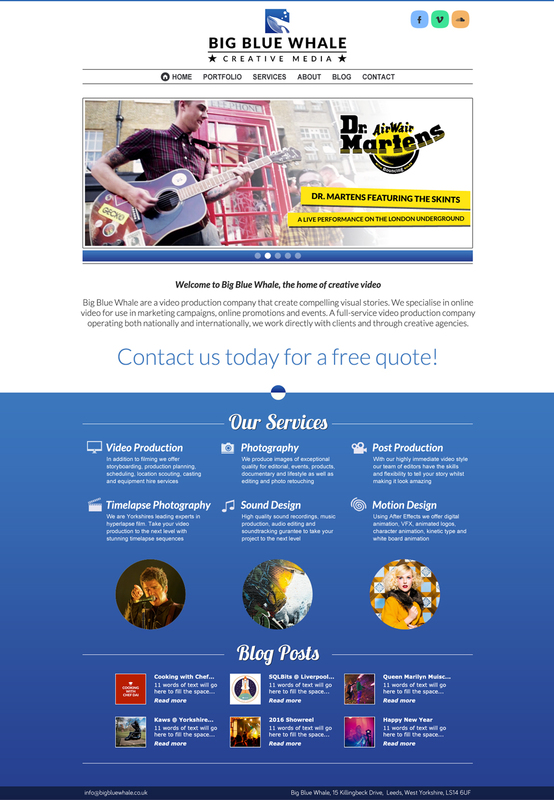 I am creative director of Big Blue Whale, a video production company I created with friends. We are based in Leeds, West Yorkshire and specialise in online video content for use in marketing campaigns, online promotions and events. My roles within Big Blue Whale have varied hugely requiring me to be very versatile. To date they have included director, producer, office manager, camera operator, hyperlapse cinematographer and as creative director I oversee all post production work. Check out our videos on Vimeo by clicking our VIMEO PAGE. I designed and animated the logo for Big Blue Whale. The animated logo is used at the end of all our videos and was designed to be fast but detailed so there is something new to be seen on each viewing. The logo itself has developed over the years as we have refined our brand. Our first of three music videos for the band Japanese Fighting Fish. Working closely with the band we developed themes and a story that would form the core of the music video. Storyboards were created, locations scouted, actors hired and extras recruited. Filmed over a weekend it was non stop action but everything went smoothly thanks to our careful planning. We shot and edited a hyperlapse video at Boomtown Fair, a place of incredible visual delights. I planned the video edit around music from artists who performed at the festival including Oculus and After Hours. By visualising the different sequences beforehand I was able to edit them together quickly. The weather was generally overcast so I graded the different sequences to create a sense of warmth and summer. Working as part of the Big Blue Whale team has allowed me to work with Graffiti Life on a number of exciting video projects in and around London. By combining life action footage, timelapse and hyperlapse photography we create dynamic and exciting videos that go hand in hand with the creation of Graffiti Life’s wall murals. For this job we filmed the creation of a huge mural for the new Halo game on XBox. Working closely with Dr. Martens we filmed The Skints band performing live on the London Underground. The video was launched in conjunction with Dr Martens ‘Spirit of 69’ campaign. I took full control of the creative process from the planning stages right through to the final edit. We communicated our ideas to the client with storyboards and took on their suggestions to ensure the final film met their needs. 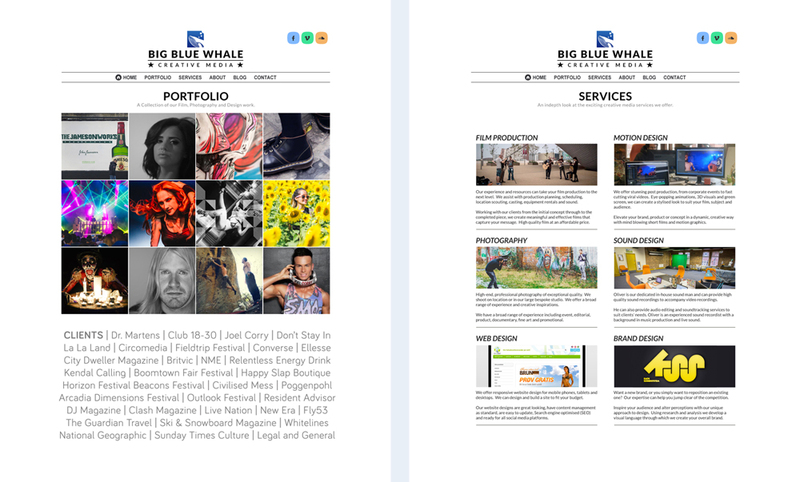 As Big Blue Whale’s work is very visual I wanted to create a portfolio style website. To increase our Google rankings I thought it would be very useful to have an active blog as content generation combined with video is great for SEO. I also included blog post previews on the home page to drive views from Google to the home page. 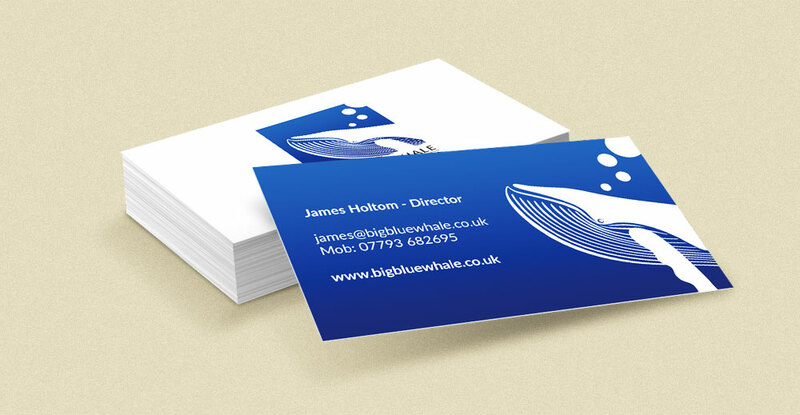 View the Big Blue Whale website by clicking here.